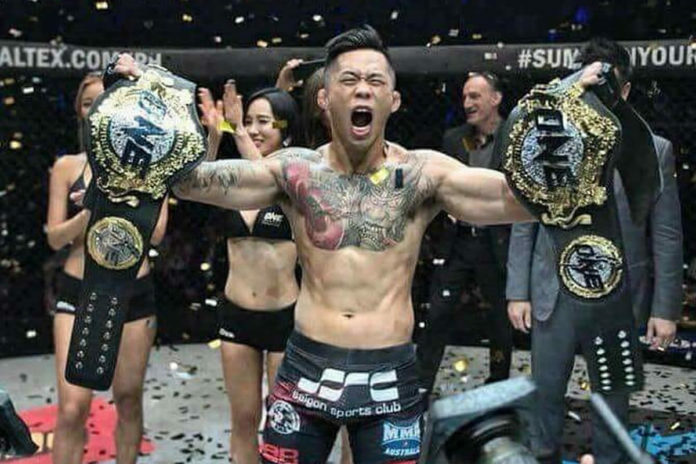 ONE Championship returns to the Philippines on April 12 with a mixed-fight card held at the Mall of Asia Arena in Manila. The event billed as “Roots of Honor” features a series of MMA, kickboxing and Muay Thai bouts with two titles contested on the night. In the main event Martin Nguyen defends his ONE Featherweight title against former champion Narantungalag Jadambaa. In the co-main event Joshua Pacio aspires to regain ONE Strawweight strap going up against the reigning champion Yosuke Saruta following their first battle early this year. On Tuesday the promotion announced the rest of fight card comprising 13 bouts. Among the matchups former Survivor (Season 37) contestant Bi Nguyen aka “Killer Bee” makes her promotional debut facing off Dwi Ani Retno Wulan. Also on the card former SuperKombat cruiserweight champion Andrei Stoica takes on Ibrahim El Bouni in kickboxing, and former MTGP Welterweight titleholder Saemapetch Fairtex battles it out against former Lion Fight Lightweight champion Ognjen Topic in Muay Thai. The complete lineup can be found below.